Yes, Sami is the kind of person who talks to cats. And she listens, too. 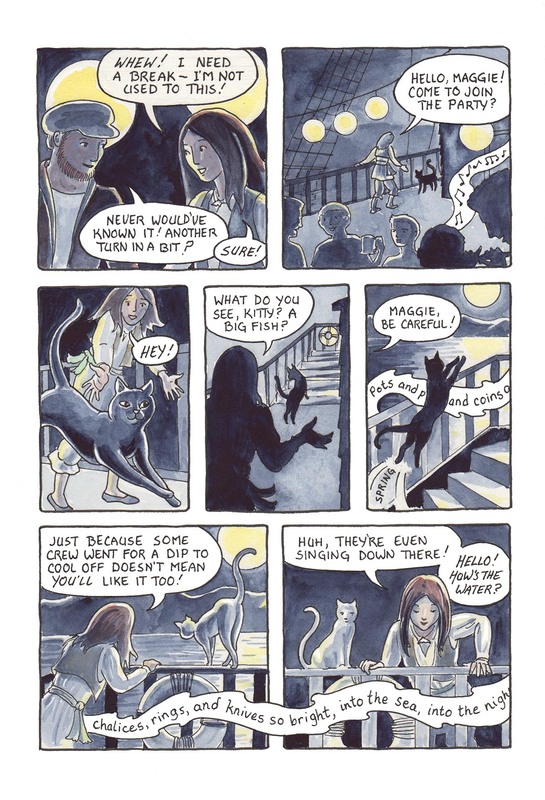 This comic was posted in Mermaid Music and tagged cat, comic, fantasy, graphic novel, mermaid comic, sailors, sea comic, ship, watercolour, webcomic. Thank you, Mei! I do like drawing cats!